An issue that never seems to be resolved despite an abundance of promises, charts, strategies and consultants. London appears to have gotten it right, but few other host cities have. 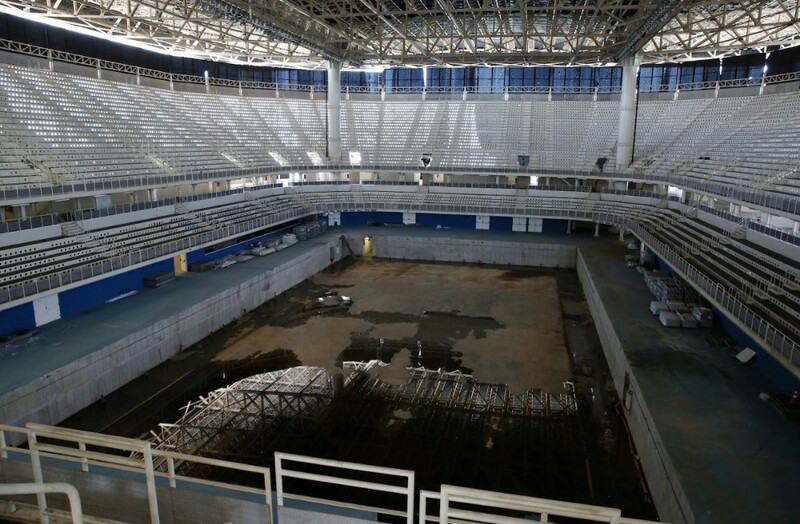 I have personally witnessed the sad state of Olympic facilities in both Barcelona and Beijing, it's depressing to see it first hand. It's the speed at which the decline has occurred in Rio that is startling. One of the most exclusive chocolate displays I have seen, nearly 30 very exclusive brands, mostly European (Swiss, French, Belgian, etc) not surprisingly. As seen at the new extension to CityWalk in Dubai, if you have a taste for the best chocolate money can buy this place is for you. We really like this kind of architecture: the unique use of textured, perforated and translucent materials and forms in a contemporary and innovative way for both the interior and exterior, with an industrial twist. The exterior metal cladding captures artificial and natural light very nicely (always changing) and the character of the interior lighting is beautiful. The real challenge here is the time & thought required for research, design, technical development and coordination to execute the vision - this is not easy or simple but the results are worth it. It is testimony to the power and attraction of the Tesla brand that after Gulf News published my comments today we have received phone calls and emails asking for more information or tickets to the event. The Tesla brand is strong. I always look up when I'm in a nice space, the designer has often thought carefully about the ceiling. Sometimes it's not the obvious views with the most interest, this is the exterior car drop off area at the Fairmont Hotel, the Palm. I like the new interior concept by Under Armour, it's bold, dynamic and nicely merchandised. I'm not convinced it sets a new standard or reinvents the category but it does set it apart from the competition who are all starting to all look the same. We are very proud of what we have accomplished over the past 7 years, we have worked with some of the largest retail, real estate, hospitality and government bodies in the region. Our sincere thanks to the clients, staff, collaborators and suppliers who have partnered with us on the journey. Along the way we've had our share of road-bumps and successes, some we saw coming and some we did not so we've learned a lot in the process. One important factor that has helped is our relentless focus on providing the best design work possible and trying to compete at the highest level where the value of our methodology is recognized, always try to take the high road and compete on quality. One other important tactic is to keep your eye on the prize: to be the leading strategic design agency in the GCC. Keeping this in mind has made decision making a lot easier because your have a clear set of objectives. Finally, we have learned not to let the bumps in the road get you down or get complacent with some success. This is a marathon not a sprint, good companies succeed in the long term because they always move forward and keep innovating regardless of short term conditions - you have to play the long game. These 3 practices have helped us get to where we are today and will continue to be our philosophy in the next 7. Hope to see you soon.